Datapeak mails millions of pieces of mail. Our customers have confidence in us and know their mail drop date will never be missed. Our business is all about helping our clients grow. Datapeak’s success comes from identifying the needs of clients and building a strong relationship with them. We go beyond their expectations. Our business is all about helping our clients grow while relieving them of worries about their mailing activities. We go beyond their expectations by providing excellent results. Datapeak is recognized as a premiere Bulk Mailer and Variable Laser Printer located in the middle of the United States. Our success comes from identifying the needs of clients and building a strong relationship with them. We go beyond their expectations by providing excellent results and service. We’re aware of the many good mailing vendors available, but at Datapeak we have proven to our clients that we’re better. Datapeak mails millions of pieces of mail. Our customers have confidence in us and know their mail drop date will never be missed. Our business is all about helping our clients grow while relieving them of worries about their mailing activities. The services you need for a smooth & successful direct marketing campaign! 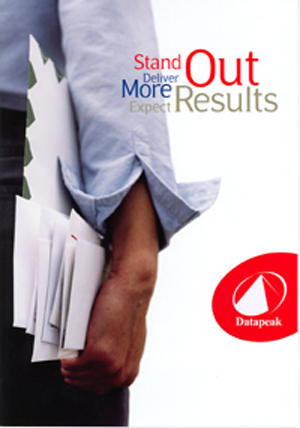 Datapeak’s Mailing and Letter Services range from folding and tabbing to scans and mailing lists. We can clean up printing designs with color imaging & personalize your mail! The Best way to reach new & current customers through the personal touch of direct mailing!